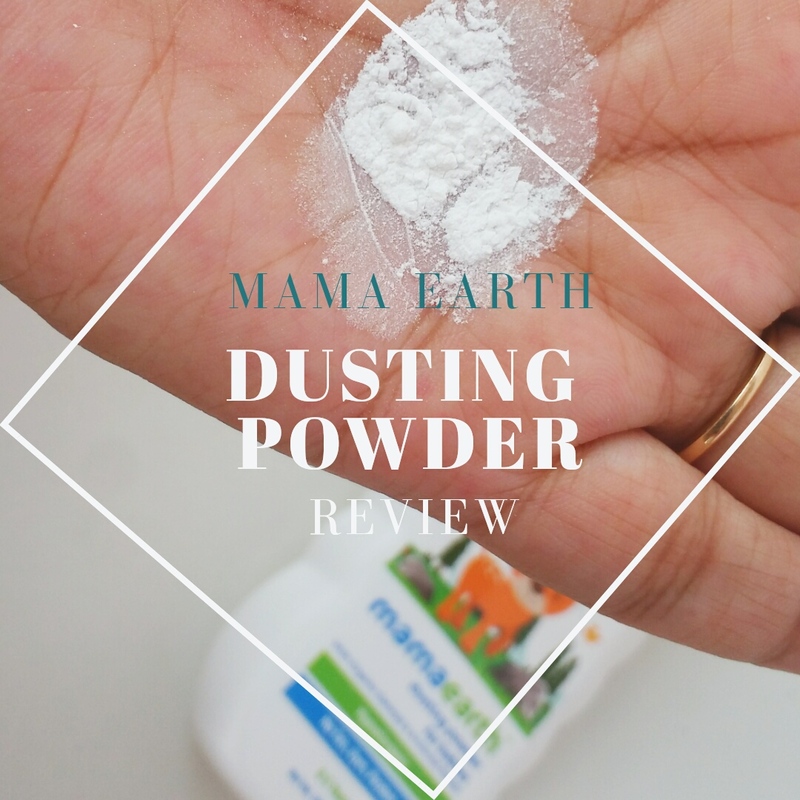 Today I share my thoughts on the Mama Earth Dusting Powder for Babies. I really love Mama Earth products especially their skincare products range. I tried almost all the products for my toddler in the past, if interested you can read the reviews here. Mamaearth’s dusting powder babies are talc free and a safer option against talcum powders. It has the highest quality organic and natural ingredients. Organic arrowroot powder and oat starch absorb excess moisture from baby’s body making skin soft and silky. Let's move on to the details. Mamaearth’s dermatologically tested 100% natural, no lung-clogging, talc-free body dusting powder. It enriched with Organic and natural ingredients that help babies skin retain moisture while treating and preventing diaper rash. Organic Oatmeal is a skin protectant. It prevents dry, itchy and irritated skin by maintaining skin’s moisture barrier. Natural cornstarch helps absorb extra moisture and is antimicrobial. 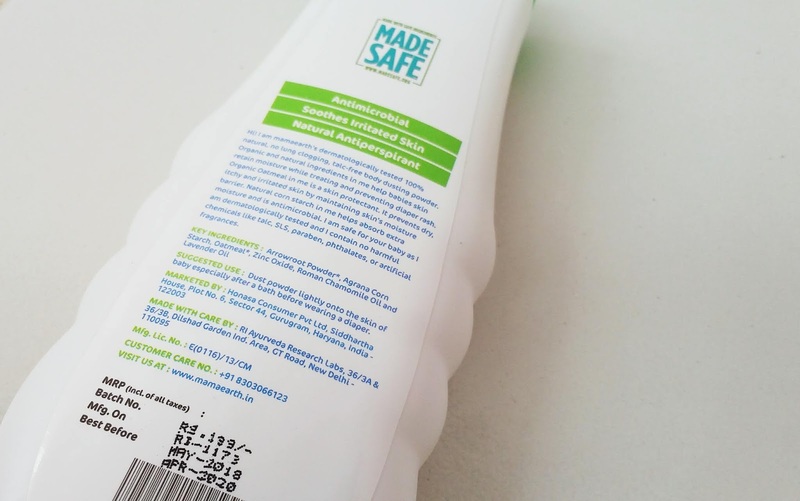 It is a very safe for your baby as it is dermatologically tested and contain no harmful chemicals like talc, SLS, paraben, phthalates, or artificial fragrances. 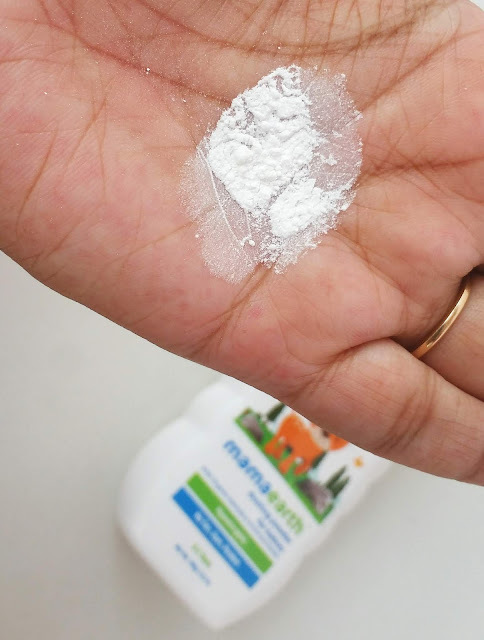 100% NATURAL TALCUM POWDER - Mamaearth's dusting powder is talc free and a safer option against talcum powders. It has the highest quality organic and natural ingredients. Organic arrowroot powder and oat starch absorb excess moisture from baby's body making skin soft and silky. BEST FOR DRY & IRRITATED SKIN - Organic Oatmeal and Corn Starch keeps skin soft and shields from excess moisture. It soothes baby's dry and irritated skin and makes the baby feel comfortable. PREVENTS DIAPER RASH - Corn Starch blended with Lavender Oil keeps baby's skin silky soft and moisturized. Zinc Oxide helps in forming a protective layer which keeps the skin dry, soothing and relieving baby's skin from diaper rashes. FOR SENSITIVE BABY SKIN - All ingredients used are organic and natural. They are gentle, free of toxicity and irritants and are totally safe for baby's sensitive skin. I love that the Mama Earth baby products have been made with gentle and natural ingredients designed to help nourish and care for the sensitive baby skin. Their products contain natural ingredients and 100% natural fragrances and have been made without phthalates, parabens, petrolatum, or SLS. 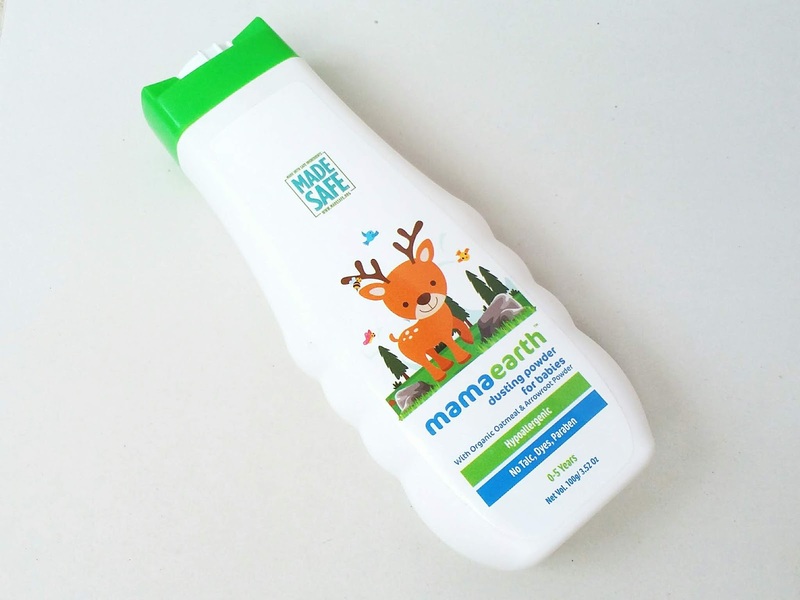 Mama Earth Talc Free Organic Dusting Powder for Babies is one of their new inventions in the field of baby products. The Mama Earth Talc Free Organic Dusting Powder has been designed to soothe and aid the healing of chafed skin and prickly heat rash. The Dusting Powder has been made with Arrowroot Powder, Corn Starch, Oatmeal, Lavender Oil, Zinc Oxide, Roman Chamomile Oil, which work together to absorb moisture and keep the baby skin drier. It soothes baby ’s dry and irritated skin and makes the baby feel comfortable. My boy has very sensitive skin and little dry, and also prone to rashes due to constant itching mainly neck and diaper areas. I clean his diaper area with mamaearth organic bamboo baby wipes. To be honest I have not used any baby powder or regular talc powder on my baby before. Now I am using it at every single nappy change and from the very first use, I could see and feel a difference in my little boy’s skin, simply softer and smoother, and with no irritations at all. The dusting powder comes in a lightweight good quality plastic bottle that is hygienic to use and easy to carry while traveling. The powder comes in a white color and has a very silky smooth texture that easily spreads on the skin, the body skin feels very fresh and pleasantly fragrant after its usage. I really love how it works on my baby's skin. The Bottom Line, This is a wonderful Organic Dusting Powder for Babies. It isn't your traditional baby powder; it is absent of scary talc and chemicals. This product works very well. Like other mamaearth products, it smells so subtle and nice. All ingredients used are organic and natural. They are gentle, free of toxicity and irritants and are totally safe for baby’s sensitive skin. It didn’t cause allergies or reactions. Definitely well worth its price. I highly recommend MamaEarth Dusting Powder to moms who are very fond of natural products and refreshing scents. And a big plus that it’s Talc-Free.